Note to self: It's not a good idea to bake when you are sick. I turned a simple muffin recipe into an almost two hour venture. I managed not to actually screw the recipe up, though I made an adjustment that altered the recipe a little. More on that later. 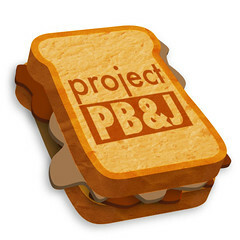 Artisan Books is one of our sponsors for Project PB&J, so to promote them Cindy and I decided to bake a few recipes from the cookbook the winners will receive. 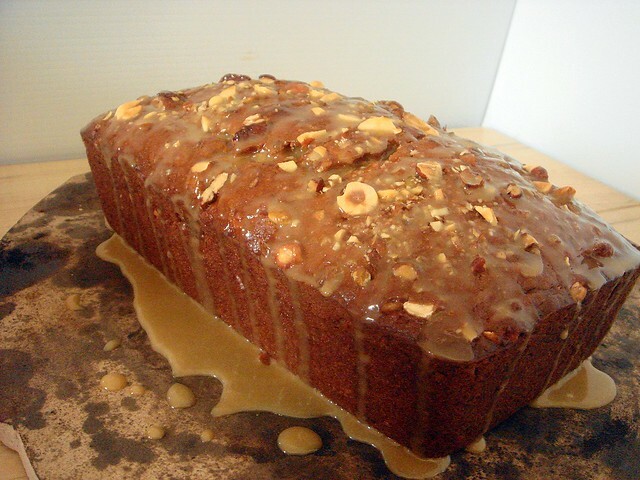 I learned about Back in the Day Bakery from Cindy and have been mesmerized with their recipes ever since. Because muffins are baked (duh), the coffee flavor would have more of an opportunity to mellow and blend with the other flavors. These are described as a breakfast muffin, which makes sense because people often drink coffee and eat oatmeal (separately) for breakfast. However, 'mocha' isn't just coffee - it's chocolate and coffee... For breakfast. But that's okay, since we who eat chocolate tend to be slimmer. So I carefully measured out the ingredients, double- and triple-checking. When I'm sick, I tend to overlook the most obvious details and make boneheaded mistakes. 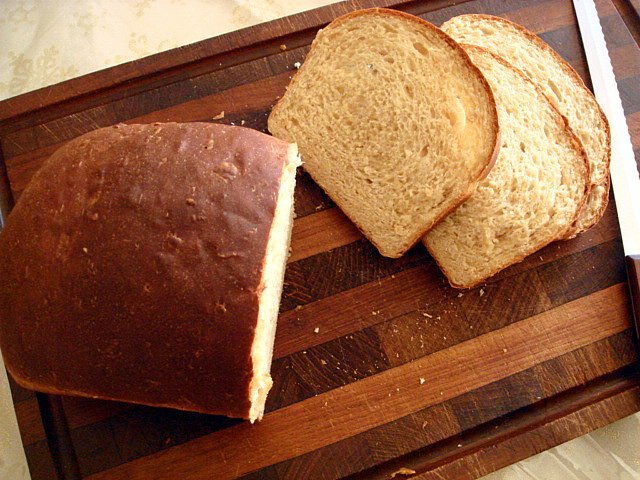 I did replace half the all-purpose flour with white whole wheat intentionally. The one I'm-going-to-do-it-anyway-and-hope-it-doesn't-mess-anything-up" move I made was to substitute whole oats for the quick oats called for in the recipe. I measured the same amount and coarsely ground them. 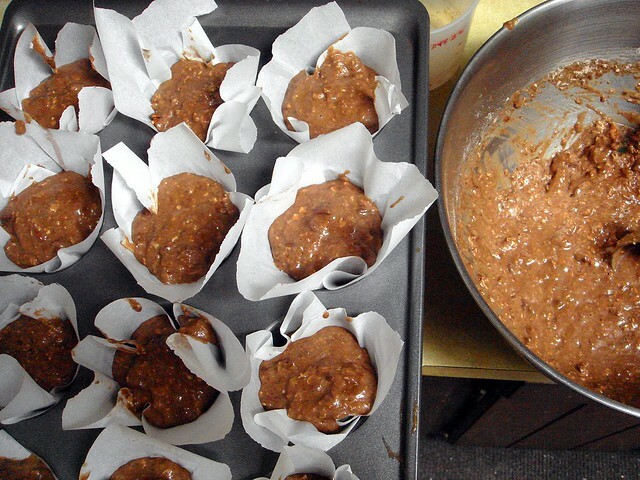 Once the batter was mixed together and I filled the 12-cup muffin tin, I had extra batter remaining. I encounter this "problem" quite a bit when I make muffins and cupcakes, and I don't know how it happens. Perhaps I ended up with more oats than the recipe called for, subbed in white whole wheat flour, or I didn't fill up each muffin tin as much due to the makeshift parchment liners. But I didn't yell or curse, because I had mini cupcake liners! As the first batch baked, I filled almost two dozen mini muffin tins with the remaining batter. They're pretty cute. I'm pretty satisfied. I liked the way the muffins baked up. 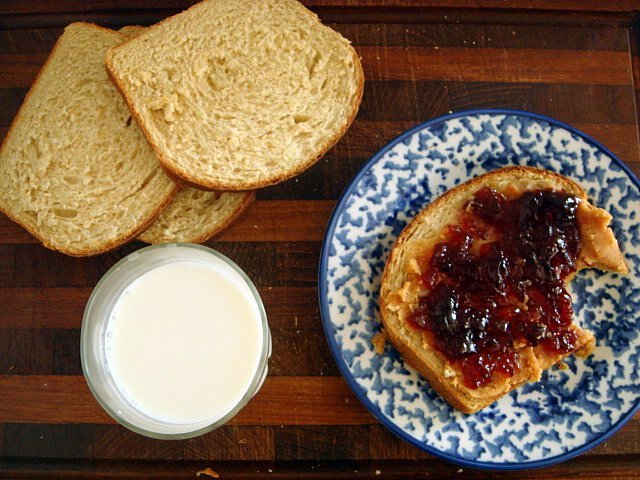 There was a subtle tang from the buttermilk, which keeps the crumb moist and tender. 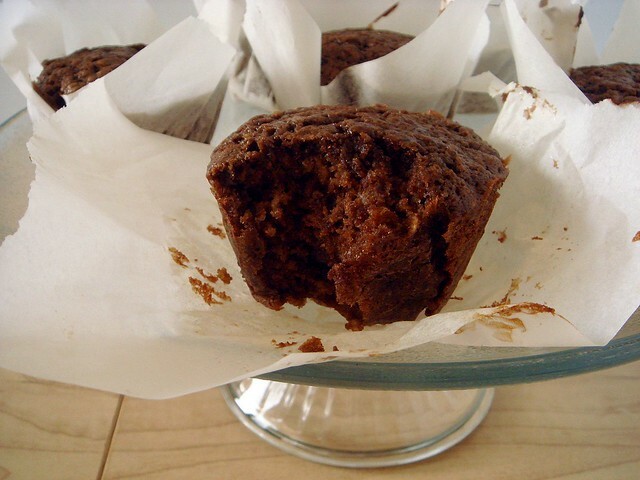 The mocha flavor is always a favorite flavor combo of mine, so of course I enjoyed that aspect of this muffin. While they might blur the line between a muffin and a cupcake because of the addition of chocolate, the level of sweetness places it back in the muffin category. It's clearly not a dessert if we're judging it by how sweet it was, though it's special enough to perk up your mornings. 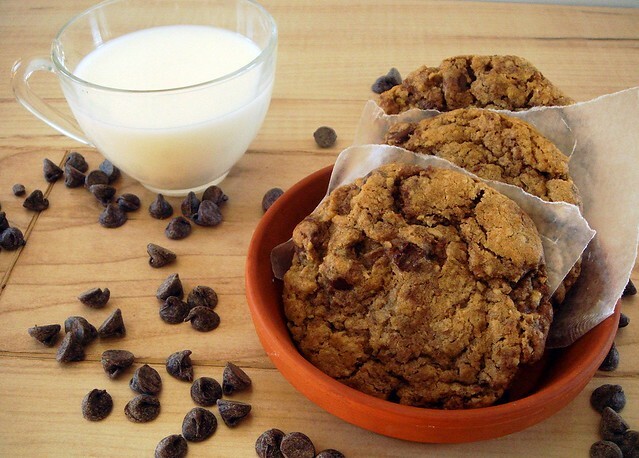 You will not be disappointed if you make these. And I'm going to stop talking because I'm sick and shouldn't be rambling. Preheat oven to 350°. Lightly spray 12 large muffin cups with cooking spray, or fill them with paper liners. 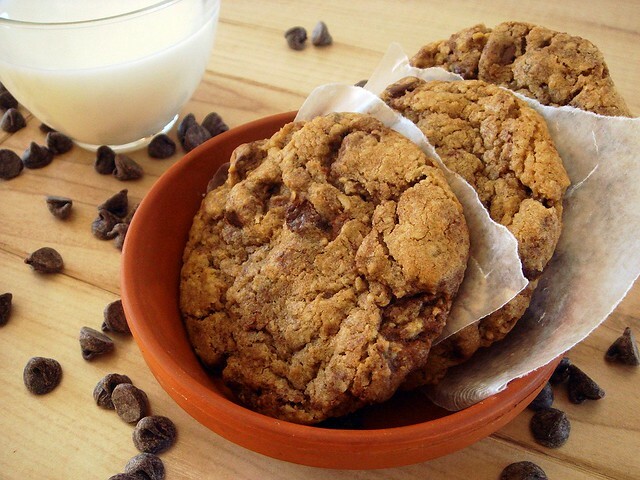 In a large mixing bowl, whisk together the flour, cocoa, brown sugar, baking soda, baking powder, salt, and cinnamon until thoroughly combined. Stir in the oats. In another bowl, whisk together the eggs, butter, buttermilk, coffee, and vanilla. 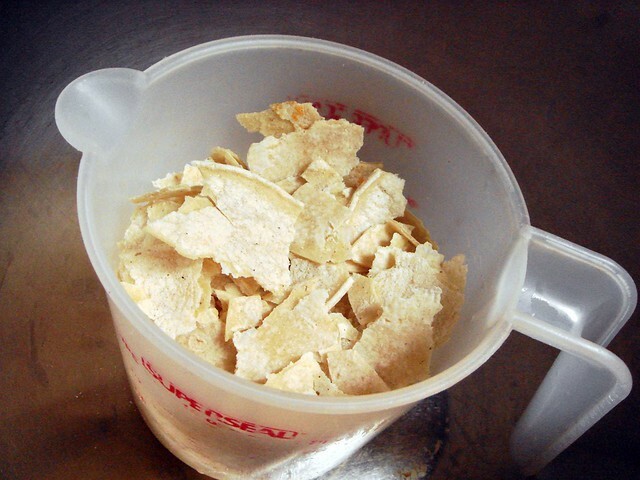 Pour the wet ingredients over the dry ingredients and mix just until combined. 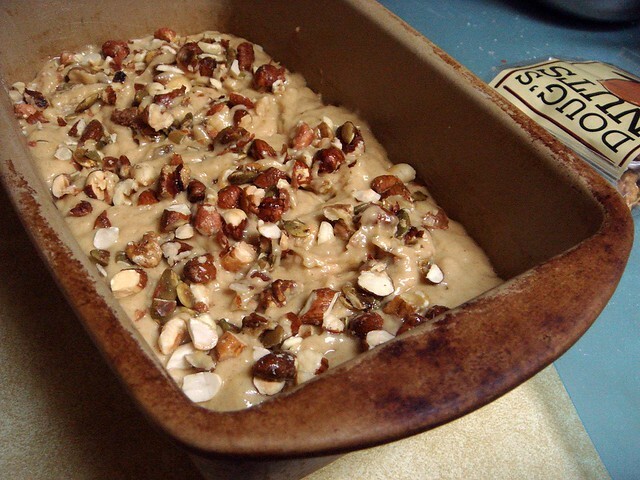 Fold in the chocolate chips and walnuts with as few gentle strokes as possible. 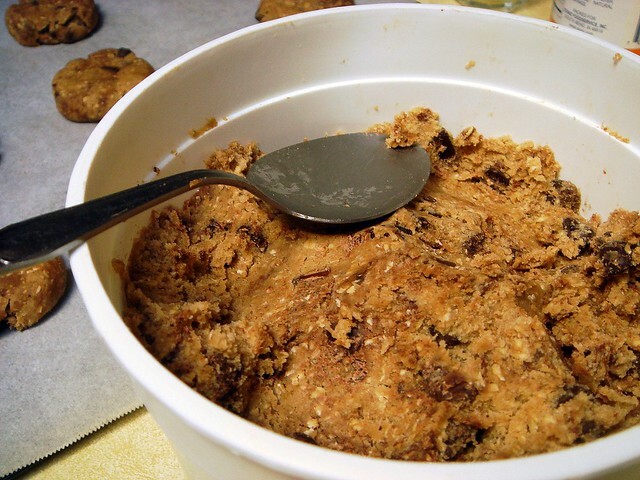 With a large ice cream scoop or spoon, scoop the batter into the prepared muffin cups, filling them approximately two-thirds full. Sprinkle the tops with oats and turbinado sugar. 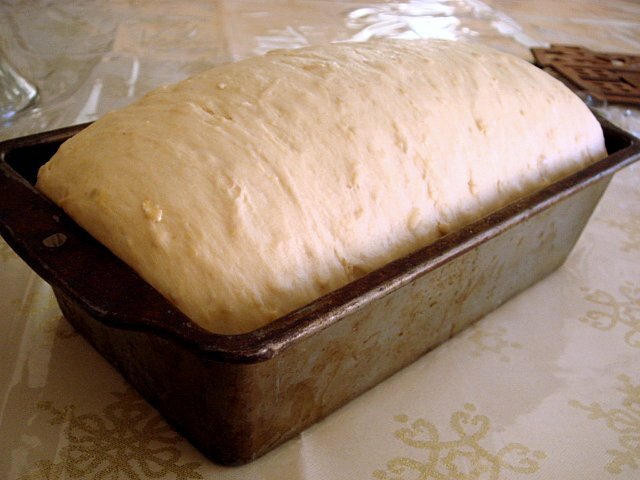 Bake for 20-25 minutes, until the tops or golden. 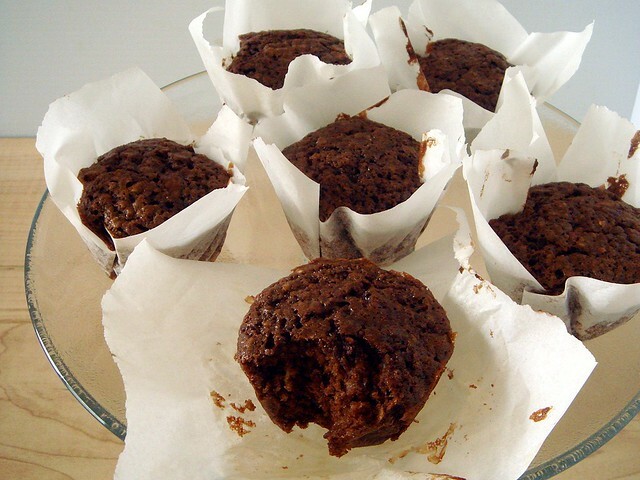 The tops should be firm to the touch and a toothpick inserted in the center of a muffin should come out clean. Remove from the oven and let cool for 10 minutes. We have all experienced a running slump at some point in our lives. Sometimes we can work our way through it in a few weeks, other times it lingers for months. It is not easy to find the motivation to continue putting one foot in front of the other when running starts feeling monotonous. If you are currently going through a rut, one way to work through it is to try something new and unfamiliar. If you can't think of something new, you might consider a different kind of race, one that focuses less on running and more on the experience, such as the Spartan Race series. Spartan Races are challenging trail races of varying distances that include obstacles of all kind, like water, mud, and fire. Expect to get down and dirty, maybe even a little bruised, and expect to challenge yourself differently than you have before. Go ahead, ask me what I'm smoking. I admit that my idea of a good time doesn't often include mud and fire, but it would definitely be a good way to alleviate the boredom of your everyday run around the neighborhood. If you're interested, you can check out their website for a complete list of events, frequently asked questions, and much more. If you're worried that the Spartan Races would be too challenging for you, fear not - there are different distances and levels so that everyone can participate. Have you ever completed a Spartan Race or obstacle race before? Share your experiences in the comments and let us know what it's like and what to expect! As you may recall, I entered this race on a whim. It wasn't planned and I wasn't even sure I wanted to run it, but I'm glad I did. The flat course loops around and through the Notre Dame campus. The constant change of scenery is nice and you'll never be alone on the course because there will always be a half marathoner somewhere along the way. The unfortunate part is that there will always be a half marathoner somewhere along the way. During the trail portion of the race, the paths are so narrow that you're weaving in and out of clustered runners, running around puddles and more groups of runners, and making sharp turns, sometimes around... You guessed it, more runners! The issue might have been resolved had the 10kers started out first, and as the 10k field was much smaller it might not have been as bothersome to the faster half runners. Weather-wise, I got lucky. It has been hot all week and I was worried how that would affect my race. Then on Friday it started to rain and cooled down, and by Friday evening I was assured of cool temperatures and overcast skies on race day. I ran a 48:51, a one minute personal record. My splits averaged 7:51. My objective for this race was to determine where I am at in my training. 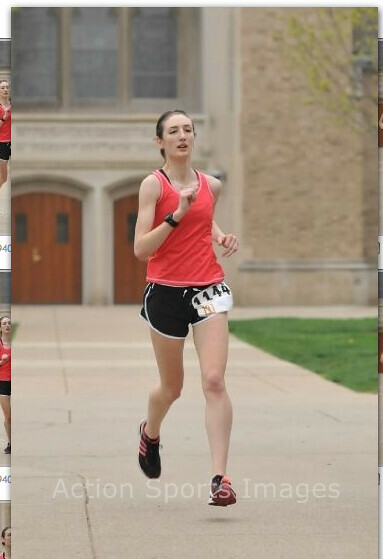 For example, I felt much more fit during this race than I have during previous races. Usually, I feel like I'm hanging on the last two miles due to a lack of fitness, but today I felt strong (I was told that I looked pissed during the final .2, though). Another example is that I didn't feel like I failed to run hard enough. Sometimes I am able to end races with a rather strong finishing sprint because I ran too timidly. Part of the problem is that I didn't have an idea for a goal pace. Running tempos has helped solve the problem (as well as input from others) and prepare me for what it feels like to run fast and strong. Because I didn't start my watch at the beginning and because I kept hitting "lap" at the wrong mile markers, I don't have accurate mile split. I'm upset, as I really looked forward to going over my splits for this race. I'm pretty sure I ran a negative 5k the last half, though. Or maybe I didn't. Whatever. Mentally, I don't remember much about the race. I was concentrating pretty hard on my pace, how I felt, and dodging runners that I didn't notice much else, though that wasn't a concern of mine anyway. I did keep note of a woman who had passed me around mile 3, whom I used as a rabbit. She had more of a kick the last two miles and I lost sight of her, though she was just faster than I was so I wasn't going to try and catch her. To end on a food related note, I woke up at 6:00 AM. I ate a waffle with strawberries and syrup, followed by a cup of tea with milk and sugar. I finished that with a cup of coffee with a splash of milk. About an hour before the start of the race, I took an energy shot. Fifteen minutes before the race, and after my warm up, I ate half a packet of honey stingers. It sounds like overkill, but if there's one thing I have figured out about my racing, it's how to fuel beforehand. 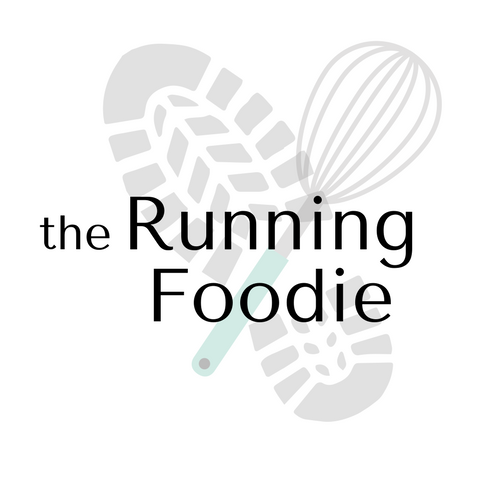 I know how much I need to eat so that I have enough energy to last through the race without feeling stuffed. I realized this week that I'm not entirely comfortable with training. I haven't been at it for very long (I wouldn't consider what I did previous years to be true training), which adds to my uncomfortableness. In my mind, I feel a little more in shape than I was two years ago when I ran the Holy Half Marathon, so that leads me to believe a sub-1:50 half is possible. Unfortunately, I'm beginning to doubt that. Just six weeks remain in my training plan, which isn't enough time to make significant gains in training for what I'd like to accomplish (two of those weeks are cut back). Remember the Holy Half Marathon? On a whim, I signed up for the 10k this Saturday. Racing the 10k supposedly will help determine what time to shoot for at the half. Unfortunately, I'm dreading the 10k. I haven't mentally been in a great place lately, and much of racing is keeping things together mentally. I'll see how it goes. I can't seem to get excited about any of these races lately. 6.4 miles - My easy pace has seemed to improve a little lately, so I ran this one at an 8:55 average pace. I just felt like it, really. 5.05 miles - This was the most encouraging tempo of the cycle. I managed to keep a 7:40 average pace for the three tempo miles, though that's all I think I can do at that pace for now. 7.05 miles - If you live in the Midwest, you are more than aware of the recent heat streak we're having. While I normally run later in the afternoon, I've been running earlier in the morning to avoid the heat. Most people don't have problems running in the heat - I'm not trying to be special, but I can't seem to manage it. My heart rate goes up, my breathing gets shallow, and I really just can't keep running. Add in a blazing sun and all my energy gets zapped. I was keeping a 9:10 pace for the first four miles, then I had to start adding run-walk intervals to finish. The good that came from this is that the running intervals were still at a 9-ish pace, but at that point it felt more like a sprint than a slow pace. 11.11 miles - Saturday long run time. My schedule needed adjustment due to the race next week, so I ran 11 miles this week. It was better than I expected. Although I didn't eat as much prior to the run as I'd like, I got out early to avoid the heat and had a solid run. My brother biked alongside me to hand me water, and I took a GU at mile 7. I started fading during the last two miles, but kept the sub-9 pace I had been running since mile 7. The fatigue was due to not fueling enough prior to the run, so I'm not concerned about that at all. I felt fine the rest of the day and have no soreness today. I seem to be running more than I had planned. Most of my weeks were supposed to be in the mid-twenties, but they're creeping up to the thirties. It's probably for the best that I get a little more mileage in. Even if I can't run a sub 1:50, I can at least try to quit doubting myself in general. I always assume something is going to go wrong (not just running related), or that I'm misjudging my ability to succeed, both of which adds to doubting myself. Even with the few good long runs I've completed, I still go out every weekend waiting to blow up during the run. It's just not a healthy way to think. Hopefully I can work on it a little this week, but I'm not entirely sure how to go about it. The theme for week two was WIND. Every single day I went out, it was extremely windy. I either had to succumb and walk, or run a longer route to avoid running into the wind for as long as possible. I also didn't run proper paces for any run but my tempo and long run, for no reason other than I was angry and didn't feel like controlling it. It wasn't terribly fast or anywhere close to tempo pace, but not what it should have been. Overall, I'm fine with how this week played out. Minus the first two runs, I did well and stuck to the plan. I'm somewhat encouraged by the tempo and long run. I still think I can't breathe well in the wind. We need to quit relying so much on corn, dig up the cornfields, and plant more trees. I'm continuing to do yoga twice a week, and the hundred pushups challenge three times a week. Since I haven't done any push ups since the last time I tried this challenge, I began my program in the easy column. Already, I'm having to repeat day 1 from week 2. I'm planning on quitting before completion if I feel like I'm at risk for developing Madonna arms. As for yoga, I can tell I'm developing better balance, strength, and flexibility. Many members of the running community are quick to say that stretching doesn't benefit running at all, but I always feel better when I'm stretched out - my stride feels fluid, I don't feel stiff, and I seem to recover better. However, I'm not stretching before or after running, just when I do yoga. Here's to hopping the wind dies down this week. 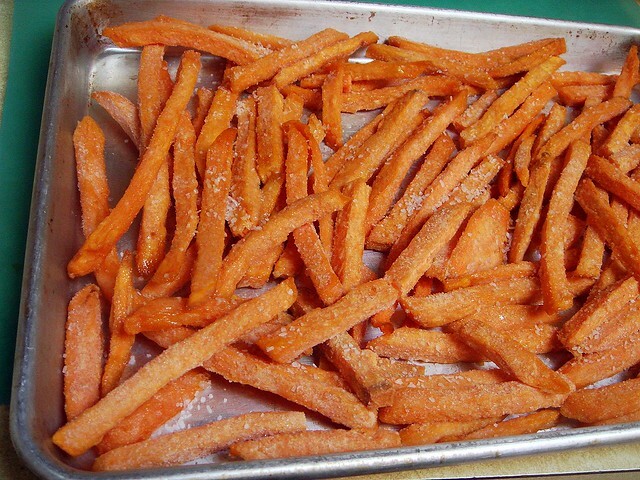 I love making homemade fries - Yukon gold, regular ol' russet, and of course, sweet potato. The downside is that it takes around one and a half hours of cooking time! Thanks to the Foodbuzz Tastemaker program, I was provided a coupon to try out Alexia's frozen foods. They have quite a few different variety of fries, some plain, some flavored, and I ended up choosing the sweet potato julienne fries. Frozen tots and fries are my favorite treat. They're quick to prepare and taste delicious. Alexia's line is all natural and contains no trans fat. While it costs more than store brands, sometimes it's better to pay more for quality when you can. I can't remember how much this bag cost where I purchased it, but it wasn't more than $5. This 15-ounce bag contain about four servings (although I could have easily eaten half myself...). Before sticking the fries in the oven, I spritzed them with a little olive oil spray and sprinkled with more kosher salt. I like salt, what can I say? These fries take around twenty to twenty-five minutes to cook, tossing once or twice. The fries roasted up with a crisped shell that gave way to a soft, sweet innard. 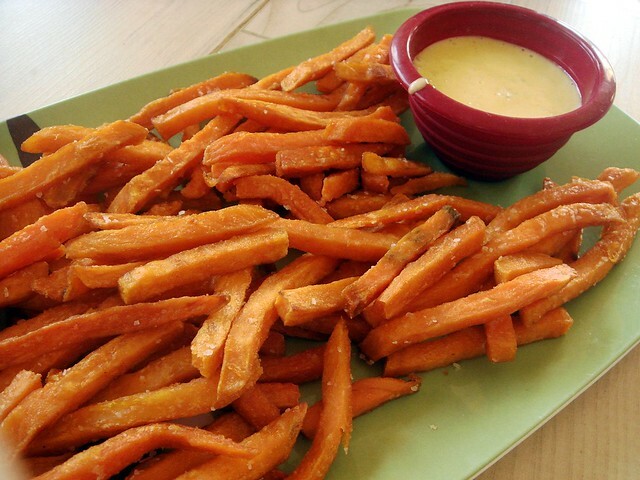 Most complaints that arise with homemade sweet potato fries is either that they stay too soft, or they get a little charred. 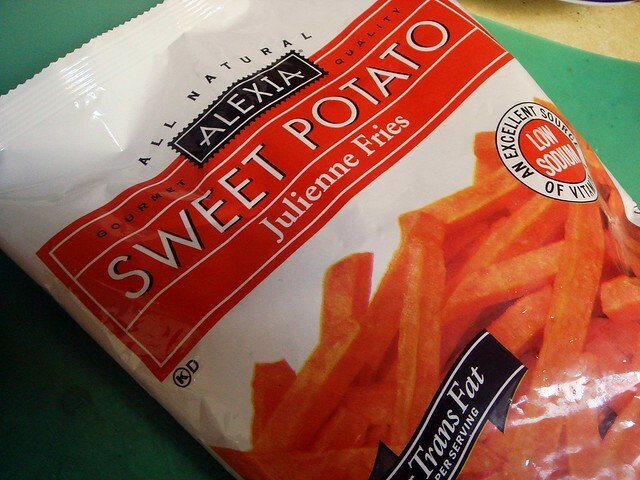 Alexia sweet potato fries were just about perfect and tasted as fresh as it could have tasted for being frozen. 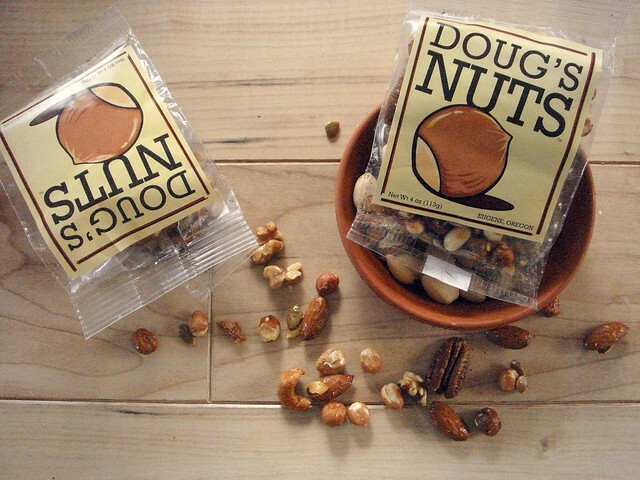 I'd definitely buy these again if they're on sale, or if I want a quick treat. 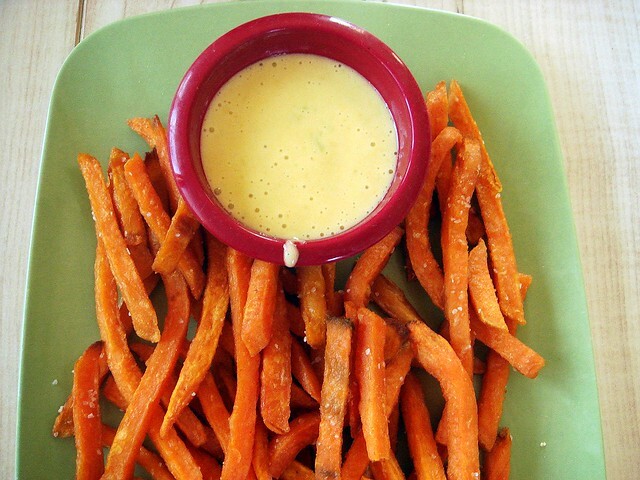 I served these with my go-to aioli recipe. I nixed the sweeteners and added in lime zest and sriracha sauce for a hint of spice. Hello, guys! Today reminds me of one of those "blustery days" mentioned in Winnie the Pooh. Winter seems just about over, so I'm not going to complain. 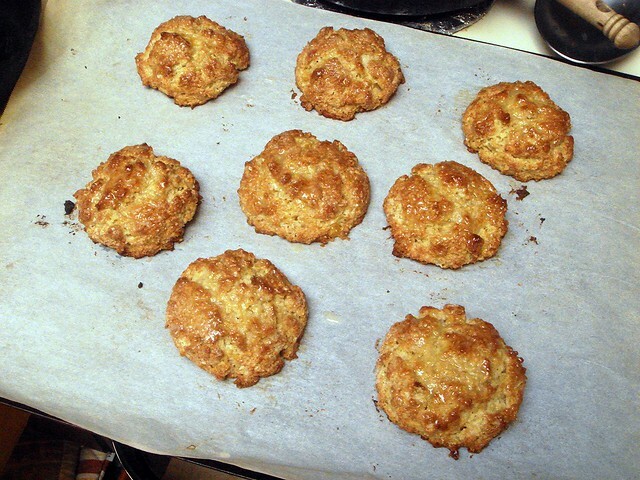 Yesterday, I briefly mentioned the scones I made with peach yogurt (psst, enter the Yoplait giveaway if you haven't!). I hope you were curious, too, because these are amazing! 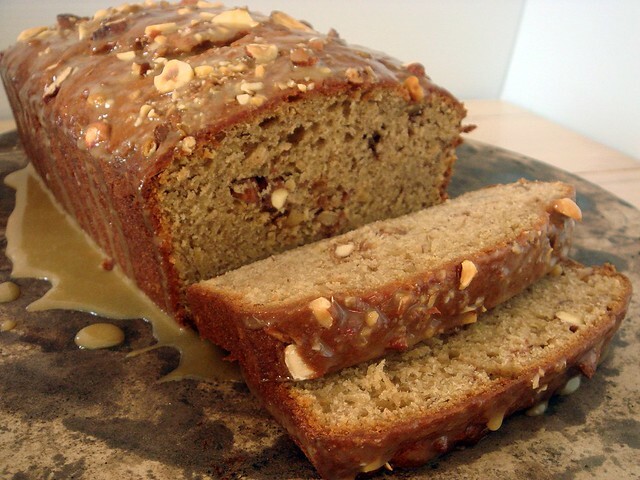 There's a light peach taste, a hearty oatmeal flavor, and it's all tied together with lemon extract and a light lemon glaze. When I was little, my brothers and I looked forward to family trips because it meant instant oatmeal packets -- specifically, the "cream" flavored oatmeal packets, like peaches 'n cream, strawberries 'n cream, etc. I'm not sure we liked them as much as we did, but that was the inspiration I used to create these scones. 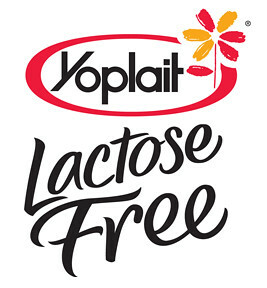 Only instead of cream, I used yogurt. Let's just overlook that part. 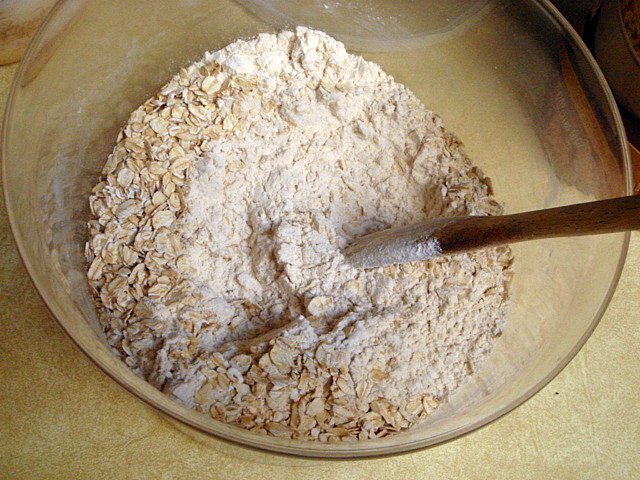 I ground up the oatmeal so that it would blend better in the dough make an even texture. The only form of peach in these muffins comes from the yogurt, though if I had a peach I probably would have added half a cup, finely chopped. Even so, the peachy flavor was pretty decent. Rounding off the two flavors is lemon, in the form of extract and a light lemon glaze that gets brushed on the scones after they're baked. Scones are basically enriched biscuits and usually contain cream (or buttermilk), an egg, sugar, dried fruit, a glaze, and so on. I only added two tablespoons of sugar to the dough because the little carton of yogurt already had 26 grams. and I didn't want to make the scones too sweet. 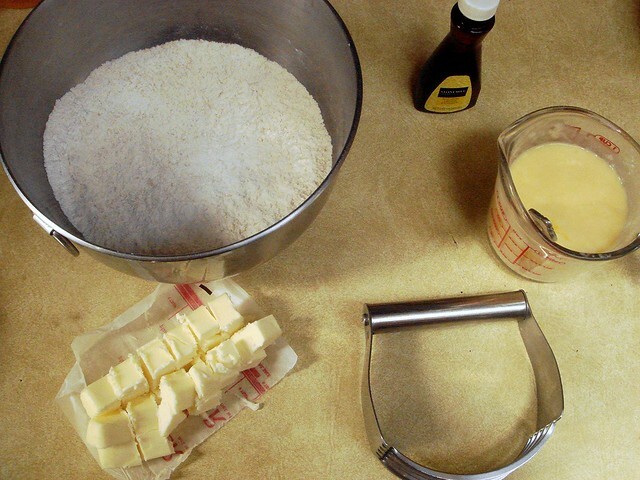 It's also not necessary to brush these scones with an egg glaze to aid browning -- the sugar takes care of that for you. Many scones require you to pat the dough out before slicing into shapes, but I opted to go the drop-scone method. 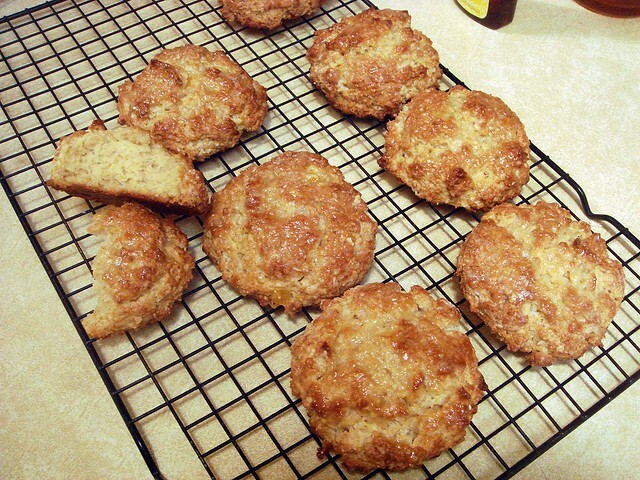 The scones are more rustic-looking, though still delicious and easier to deal with. Because of that, the dough is more wet than traditional scone dough, meaning that the scones remain moist and tender after baking. After a quick fifteen minutes in a hot oven, the scones come out beautifully browned and well-risen. 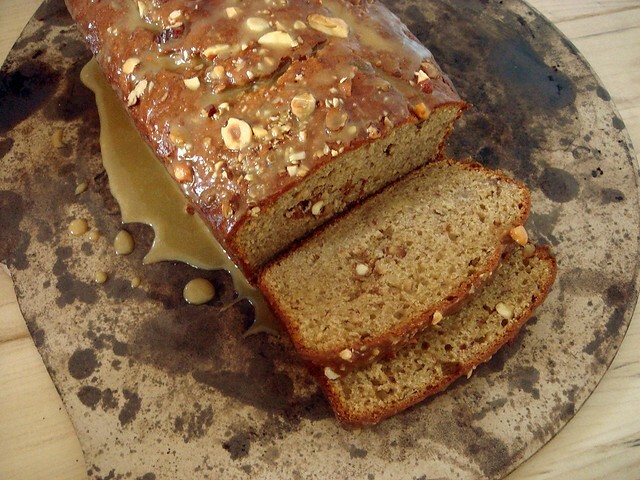 This is when you brush the lemony glaze on top, creating a shiny coating. I might just start have to start keeping peach yogurt on hand to make more of these the next time I have a craving. 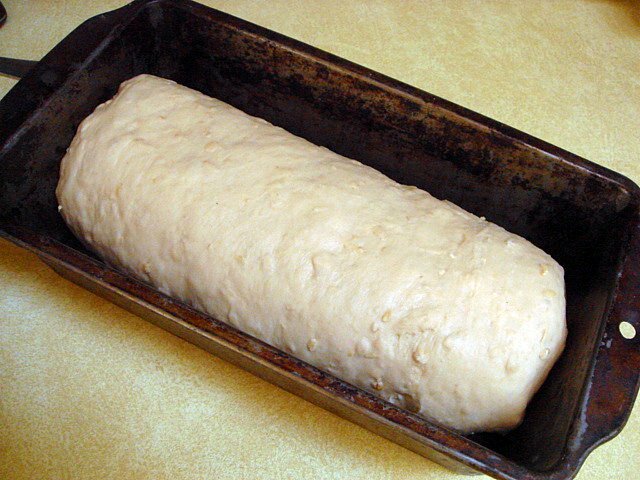 Preheat oven to 425° and line a large baking sheet with parchment. 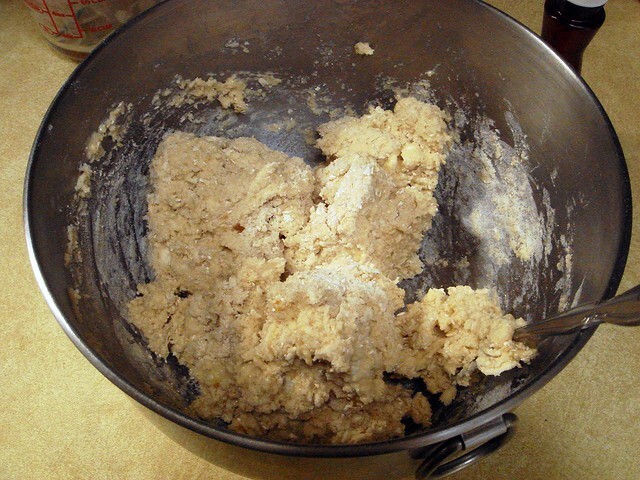 Whisk flour, ground oats, sugar, baking powder and soda, and salt together in a large bowl. 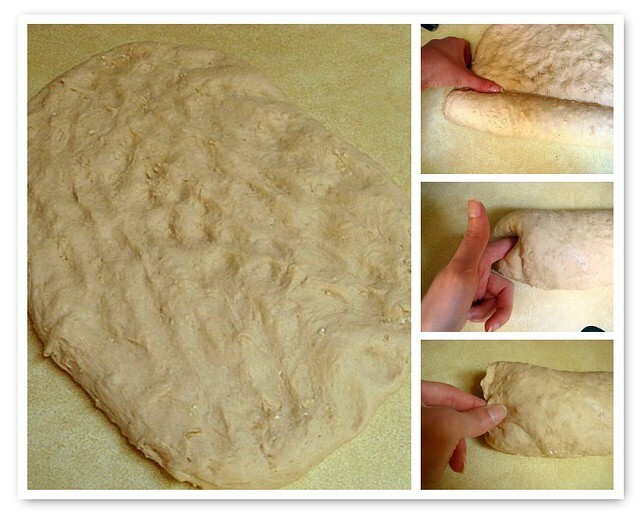 Cut in flour until mixture resembles coarse sand. Mix yogurt with beaten egg and lemon extract. 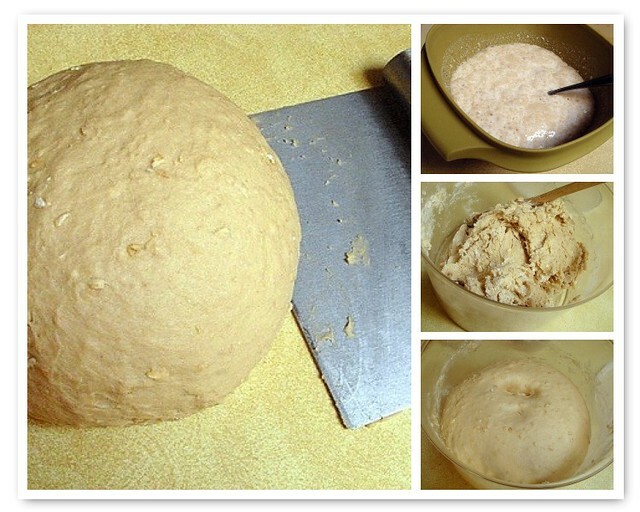 Pour into dry ingredients and mix quickly until dough forms a cohesive ball. Using a 1/4 cup measuring cup, portion out dough into eight scones. 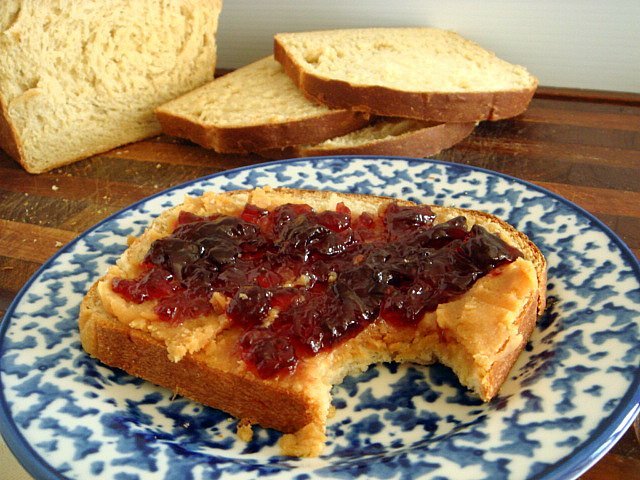 If there's any dough remaining, press it onto formed scones. 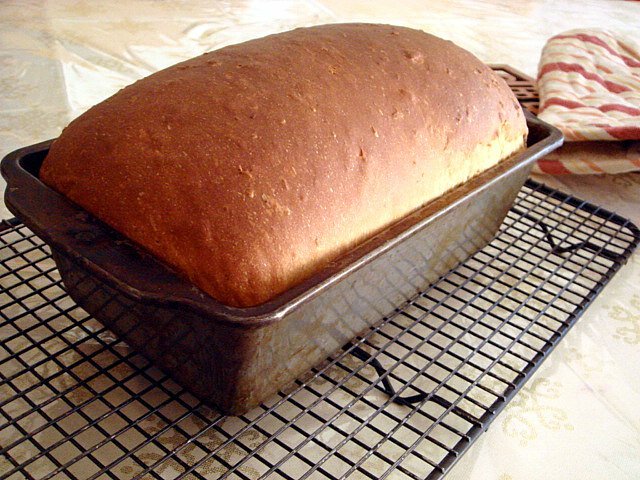 Bake for 15 minutes, or until scones are golden brown. 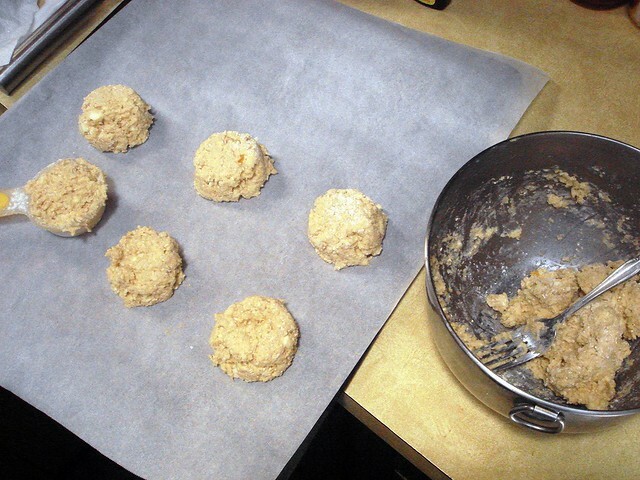 As the scones bake, mix the confectioners' sugar with fresh lemon juice. 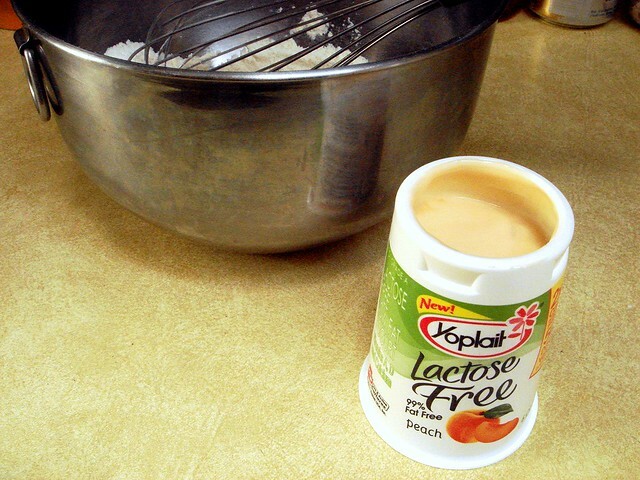 Whisk until glaze is smooth. When scones have baked, brush glaze evenly over tops of scones while on baking sheet. Remove to a wire rack to cool completely, or serve warm. Week one is in the books! I ran each run as planned, minus the tempo that I felt was inaccurate due to the heavy wind, and the recovery the next day that I ran a little faster than I meant to. Simple enough week. I do pretty well running four days a week, and it doesn't tire me out much. It's still low, but it's doable because I'm not planning on going over 30 mpw for this training cycle. Easy - You all know what this is. However, I'm varying my easy days by running some and the faster end of my easy pace, whereas my recovery runs should be closer to the higher end. Tempo - Right now I'm just running 3 miles at tempo pace, which is fine for me. I might contemplate adding another mile during the peak weeks, but I'm waiting to see how I get through these next four weeks. Recovery - Self explanatory. The only difference is that I moved this run the day after my tempos instead of the day before my long runs. Progression long runs - I've been having issues running my long runs at the proper pace, i.e., slow. I have this fear that if I don't maintain a somewhat faster pace, I won't be able to run fast during a race. Dumb way to think. Enter: Progression. What I do is split the long run up into segments, like 3-3-2 for an 8-miler, 4-3-2 for a 9-miler, and so on. I run the first segment at the higher end of my slow pace, second at the middle, and last segment at the lower end of slow pace. This breaks up the distance mentally, as well, because it's not all one long stretch and I'm constantly waiting until the next segment to speed up. Rest days - Save for Sundays, my rest days during the week are "running rest days" aka cross training weeks. I've been doing yoga, and have just started the One Hundred Pushups Challenge again. Hopefully I'll stick to it this time because it's part of a preexisting formal training plan. That's it! I'm hoping the wind settles down next week so I can attempt a proper tempo. I'm curious to see if I can run the pace myself when I'm not pushed by the wind. 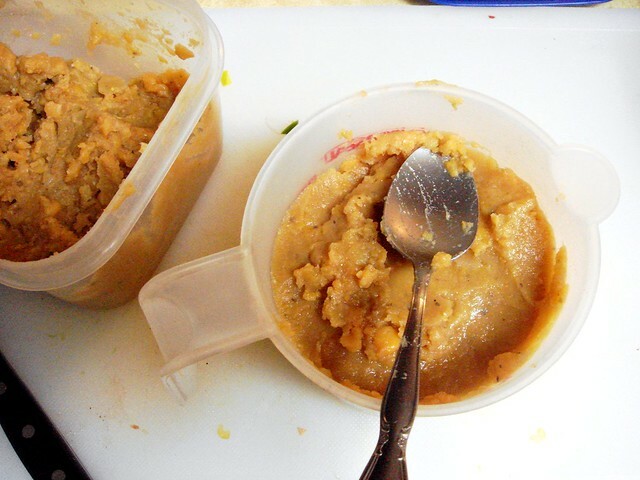 About a week ago, I found myself with a container of cooked split pea puree leftover from when I made my homemade enchiladas. I meant to turn it into soup the next night, but other dinners got in the way. Yesterday, I finally used it for soup. I was inspired by a little bit of ground turkey in a container, dry corn tortillas, and mini bell peppers. As I worked on the soup I wondered if anyone would actually be able to make it. I mean, who has a container of split pea puree in their fridge? Who has just a quarter pound of ground turkey in the fridge? But anyway, if you ever do find yourself with those two ingredients in the fridge, you now have a tasty way to use them up. 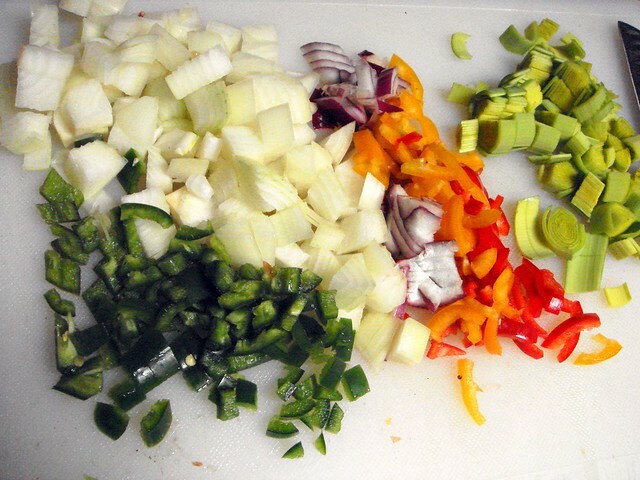 I used vegetables that many of you might have in the kitchen -- bell peppers, onions, a little red onion, an jalapeno, and a leek. The leek is optional, I just used it because it was in the veggie bin. Although I call this "southwestern split pea soup", you'll find that I didn't add a single southwestern spice, like cumin. 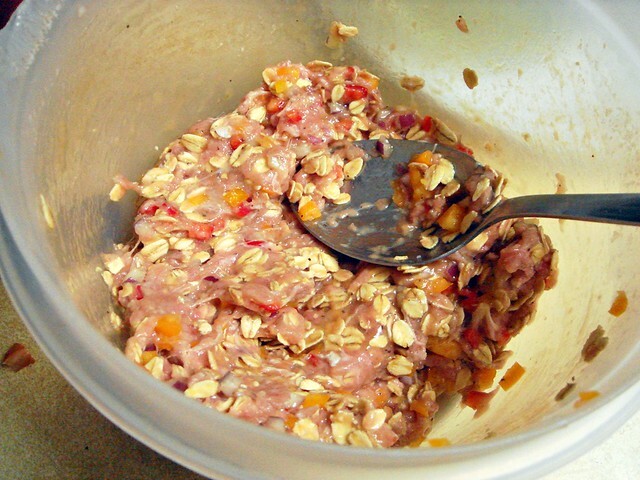 For the meatballs, I added finely chopped mini bell peppers, half a cup of oats, one egg, and a little salt and pepper. It's a little soggy at first, so I let it sit while the veggies sauteed to give the moisture time to soak into the oats. The split peas? When I made them, I cooked two cups of dried yellow split peas with a chopped onion, garlic, and oregano. I kept adding water until the split peas broke down and thickened into a puree. After they cooked, they were mixed with some salt and a packet of Goya seasoning. All you'll need is three cups of puree, so why not use the extra to make those enchiladas I talked about, hmm? Once the vegetables have sauteed for five minutes, I added a carton of chicken broth along with two cups of water. Stir in the split pea puree and bring the soup to a boil. The texture of the soup will be thin with a little substance. 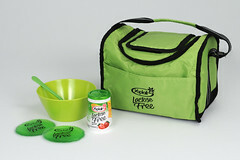 I don't like pea soups that are really thick because it's more like baby food than what I feel a proper soup should be. Let there be broth! As the soup comes to a boil, roll out half tablespoon portions of the turkey and drop into the pot. Lower to a simmer, cover, and cook for 25 minutes. Just prior to serving the soup, stir in ripped day-old corn tortillas. Oh, what's that? You don't just happen to have dry corn tortilla sitting on your counter because you forgot to put them away last night? This will probably work with normal corn tortillas, or just top each bowl with crushed tortilla chips and a dollop of sour cream. 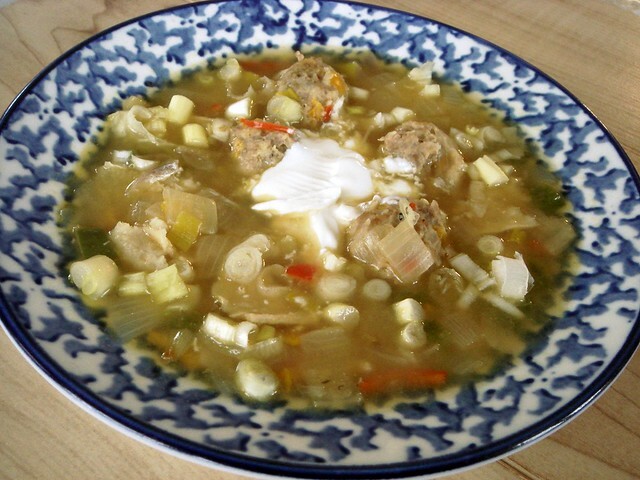 All I could think about during the last mile of my run yesterday was coming inside and enjoying a warm bowl of soup! It turned out much better than I expected, considering I didn't do all that much to it. Like I said above, the soup is brothy, but has substance. It'll thicken upon standing because of the corn tortillas, so keep that in mind if you're making this ahead of time. Mix together ground turkey with finely chopped bell peppers and red onions. Stir in oatmeal, beaten egg, and a teaspoon of salt. Set aside. In a large pot, heat olive oil over medium. 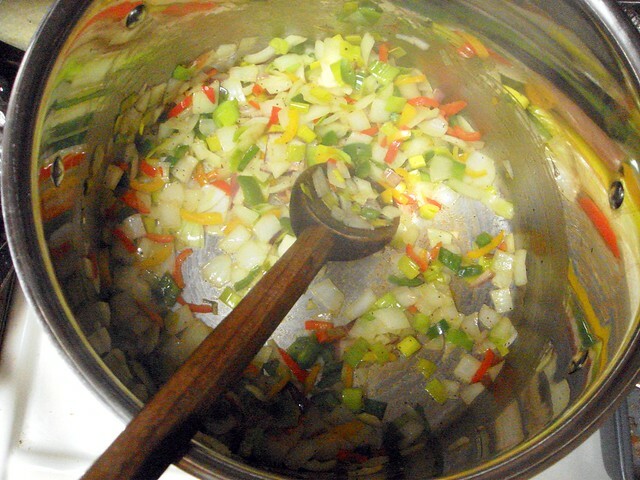 When hot, add onion, red onion, bell peppers, jalapeno, and remaining 1 1/2 teaspoons kosher salt; saute for five minutes. Pour in chicken broth and water. Stir in split pea puree and taste for seasonings, adjusting as necessary. Bring to a boil. 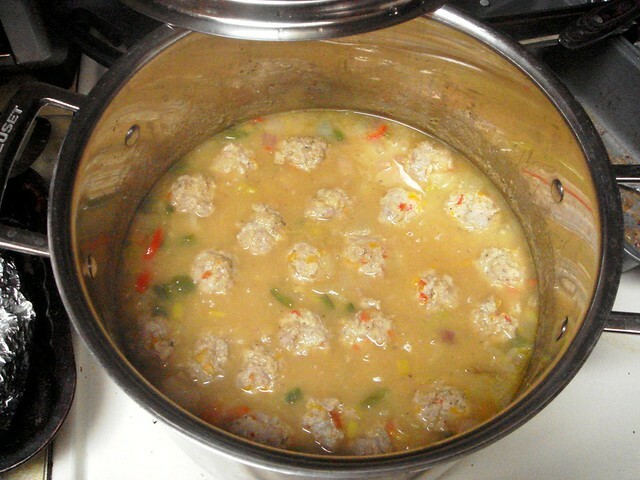 As soup comes to a boil, roll half tablespoons of turkey mixture into balls and drop into the soup. Reduce heat to a simmer; cover and cook for 20 minutes. When meatballs have cooked, they will have risen to the surface. Stir in corn tortilla strips just before serving. 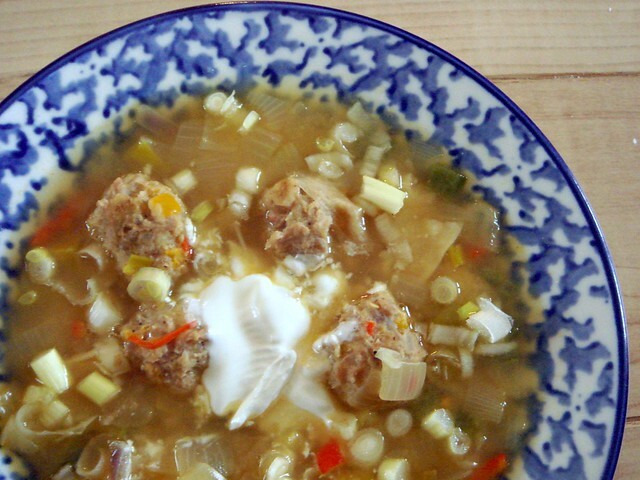 Top bowls with sour cream and green onions. Ole!